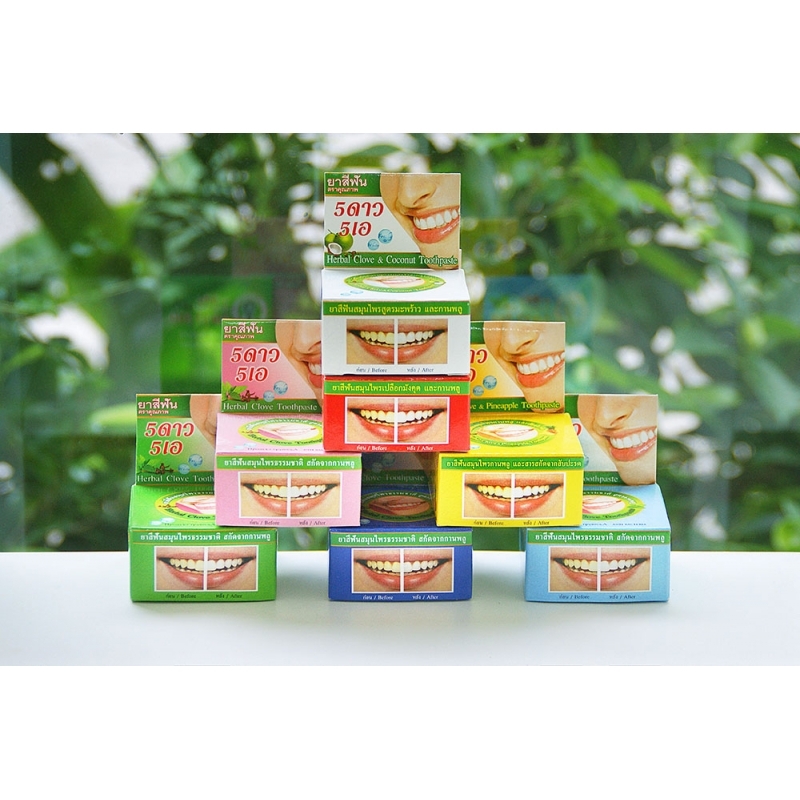 Toothpaste from the peel of mangosteen - contains the peel of mangosteen and cloves. Effectively whitens, destroys bacteria and smells from the mouth. Removes plaque, plaque from cigarettes, coffee and tea. For treatment of gingivitis. By buying this product you can collect up to 5 loyalty points. Your cart will total 5 points that can be converted into a voucher of ฿ 1.